Celery is a rich source of insoluble fiber. 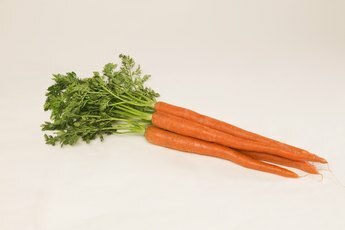 Celery stalks are such a versatile veggie that they are used as stir sticks in cocktails and as scoops for a variety of creamy dips. Eaten by itself, celery is a very low-calorie food that packs plenty of crunch. The crunch comes from its high water content and long strands of cellulose, an insoluble fiber. As such, celery stalks are a great source of insoluble fiber, but a negligible source of soluble fiber. 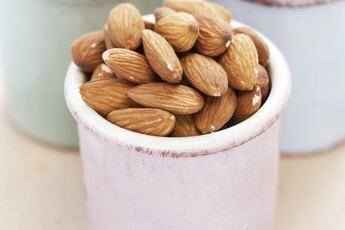 There are two main types of dietary fiber: water soluble and water insoluble. Soluble fiber dissolves in water and becomes sticky or gummy. 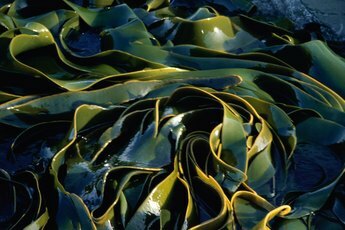 This property turns out to be pretty useful in your intestines because the sticky soluble fibers grab on to cholesterol-rich bile, heavy metals, some toxins and other unwanted debris and pull them out of your body. Consequently, diets high in soluble fiber tend to decrease blood cholesterol levels, reduce the risk of cardiovascular diseases and remove potentially hazardous material from your body. Soluble fiber also delays glucose absorption, which is helpful in maintaining healthy blood sugar levels. Examples of soluble fiber include pectin, lignin and various gums. Celery contains a fair bit of fiber, but essentially all of it is water insoluble. For example, 1 cup of raw celery stalk contains about 1.5 grams of insoluble cellulose fiber, which is approximately 6 percent of your daily requirement. Insoluble fiber doesn’t dissolve in water, but attracts water while moving through your intestinal tract. This is beneficial because insoluble fiber bulks up your stool, promoting regular bowel movements and cleaning out your large intestine. However, because insoluble fiber drags water out of your body, good hydration is needed in order to prevent constipation, bloating and cramps. 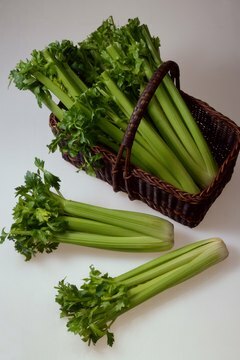 The good news is that celery stalks are packed with water, as it represents about 96 percent of the veggie’s weight. Celery stalks contain essentially no soluble fiber, although the small leaves at the top of the stalks may contain an insignificant amount. Much better sources of water soluble fiber include apples, pears, berries, oranges, beans, peas, lentils, oat bran and flaxseeds. Apples, for example, are particularly rich in pectin, which resides mainly in and near the skin. Many fruits and veggies contain a good mix of both types of dietary fiber, although celery is not one of them. In addition to the health benefits associated with its insoluble fiber and water content, celery is a rich source of phytonutrients that have antioxidant and anti-inflammatory properties. 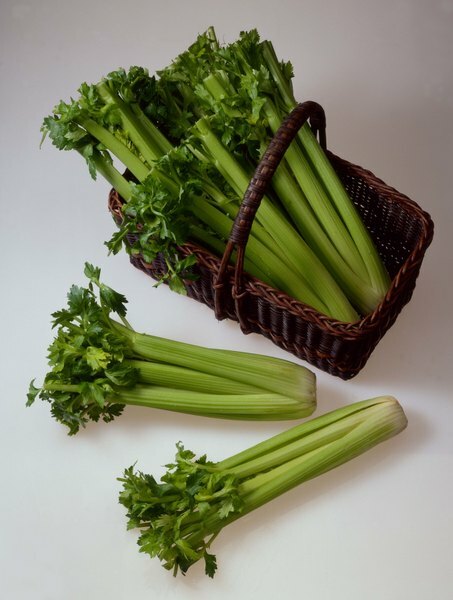 Celery stalks are also very good sources of vitamin K, which is important for blood clotting and healthy bone formation, and various electrolyte minerals such as potassium and sodium. Electrolytes are important for conducting electrical currents in body fluids as well as exchanging nutrients and waste material in and out of cells. Contemporary Nutrition: Functional Approach; Gordon M. Wardlaw et al. Are Too Many Apples Bad for Your Digestive System?